The Narnia of Caspian X is a place more menacing and cutthroat than that of the early age, ravaged by land-hungry totalitarians known as the Telmarines, its wondrous populations of fawns, talking animals and tree spirits silenced by their ruthless pillaging of the establishments of old. They occupy the screen in “The Chronicles of Narnia: Prince Caspian” with a certain arrogance in their demeanor, dressed in lush robes and observed carrying themselves less like invaders and more like monarchs of England’s Tudor era. To say that their existence feeds into an assumption that the movie’s writers are beginning to see C.S. 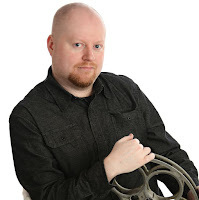 Lewis’ magical world from a more political context would be an understatement; when the movie opens, there is no doubt in the minds of its would-be heroes – or the audience, for that matter – that the battle between good and evil no longer comes down to impressive displays of magic and fantasy. Instead, what we get is a film with impressive battle sequences, talk of strategy and intrigue, and character development that spend less time marveling over fantastical sights and more time contemplating the pros and cons that come with change. The picture opens exactly a year following the events of “The Chronicles of Narnia: The Lion, the Witch and the Wardrobe.” Having settled back into their lives in England after spending several years as kings and queens of that world behind the Wardrobe, the Pevensie children – Peter, Edmund, Susan and Lucy – find themselves, without warning or expectation, transplanted out of their own reality and back into the world of Narnia, where they soon discover the ruins of their once-immaculate castle crumbling under the weight of mass vegetation and erosion. How can that be if it has only been a year since the four have been in the realm, though? Ah, to ask that question is to be reminded of a dialogue exchange between two characters in the earlier film, in which it is suggested that alternate realities also carry alternate timelines. How else, furthermore, could four children age and grow in Narnia only to return back to their own world at exactly the ages they were before they left? The summoning of the four occurs 1300 years after their initial rule, long after the Telmarines – Mediterranean-esque fighters that are essentially Vikings in the Narnian lore – crashed ashore and assumed control of a land no longer under the authority of sons of Adam and daughters of Eve. What brings about their return, and at this rather distance point into their kingdom’s future, is at first uncertain to them, but the narrative is sure to explain it all before it plunges them into the purpose. 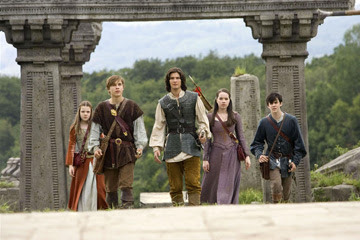 At the opening of the picture, we see young Prince Caspian (Ben Barnes), rightful heir to the Narnian throne, flee from home and into the wilderness when his evil usurping uncle Miraz (Sergio Castellitto) becomes father to a newborn son, and the acting king orders the assassination on his young nephew to prevent complications to his rule. That the young prince carries knowledge of the origins of his blood-thirsty people and the mass extermination of the old Narnian inhabitants only strengthens his desire to stay alive and hidden, but when Caspian accidentally stumbles into the sight of beings he had thought to be long extinct, it fuels an internal fire that propels him to step up and challenge his uncle for the sake of restoring a voice to the country’s native beings. If the earlier film understood the mentality of a child enough to see its visuals and narrative through very young and curious eyes, then “Prince Caspian” finds itself viewing the world from the perspective of young cynics; less wondrous and whimsical than its predecessor, the movie is darker, harder around the edges, and more untamed in many respects. Much like the “Harry Potter” franchise, such a prospect proves to be of great use to the development of the screenplay, which in this case is more challenging, less conventional and farther reaching than the first movie’s. I also admire the way that the writers take the incentive to play with the structure of their source material rather than staying completely neutral to it; in many respects, the original. C.S. Lewis novels are intentionally vague and simple, if for no other purpose than to encourage the reader’s imagination to fill in blanks and think outside of the printed word for the full perspective. Here, the script adds a great sense of dimension to the source by tapping into elements previously undeveloped, including rivalries that may or may not be fueled by young testosterone-driven men (in this case, Peter and Caspian, who are both kings in their own right trying to figure out where one’s rule stops and the other’s begins), new battles that seem to exist to add great cinematic tension to the story, and a startling sequence in which old agents of the White Witch attempt to channel – and resurrect – her spirit via the sacrifice of blood from a son of Adam. The battle sequences themselves are full of energy and drive. Boxed into a cavern-esque structure now home to the notorious stone table where the great Aslan was sacrificed – and resurrected – a millennium before, the armies that have assembled for Caspian and the Pevensie children plot, strategize and consult one another to great lengths on the eve of battle, worried greatly about their lack of numbers but anchored in their conviction by the fact that they can so easily outwit the tactics of their counterparts. When those endeavors prove to be of little progress to their resistance, of course, the script plays what might quickly become Narnia’s own get-out-of-jail-free card: Aslan the Lion, whose mere presence awakens the tree spirits, heightens the enthusiasm of followers, and sends enemies quaking in fear at the very sound of his ferocious roar. Lesser stories would utilize this gimmick as a cop-out to avoid multiple tragedies, but “Prince Caspian” is well-staged enough that all of its moves are precise without being preposterous. It genuinely cares enough about the narrative to mix up the formula enough to keep it interesting. Is the movie a better one than its predecessor? Alas, no. We recognize and admire the fact that the filmmakers want to place more emphasis on screenplay conventions in this occasion, but in the process they also tend to lose sight of the wonderment, even the novelty, of the Narnian universe. There are few moments where the audience feels wowed, even fewer when we feel the urge to stare on in amazement at the visuals. It doesn’t even look like a fantasy film until the plot requires it to. Perhaps that goes with the territory in the same way it happens with the “Harry Potter” films – eventually you have to reduce the emphasis on texture in order to allow the characters to evolve in the foreground – but whereas the Potter franchise follows a continuous premise with the same supply of characters, the Lewis stories are all isolated narratives, each with few commonalities between them in the ensemble. The movie seems interested in exploring these new identities but does so while sidestepping the fact that Narnia itself has changed so drastically in 1300 years. Still, “Prince Caspian” continues in the tradition that Disney and Adamson have established for this series, which is to create vivid, imaginary and enthusiastic interpretations of some of the most memorable children’s books of the past century. In that respect, the movie has all the roar and bite that its god-like central character entails.